The biggest part of this job involves the translation of spoken or written material from one language to another, especially when from intelligence. People who work in this role operate—and manage the operation of—communications equipment such as radio receivers, recording equipment, typewriters, keyboards, and computer consoles. They monitor and record communications, adding appropriate comments to assist in transcription and analysis, and perform preventive maintenance on mission equipment. If you're interested in this job, the most important skill you need to have is documented foreign language proficiency in a language designated by the Air Force. 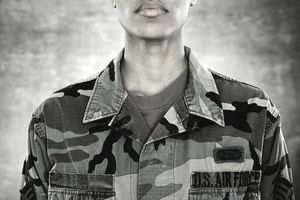 A score of at least 110 on the Defense Language Aptitude Battery is also necessary, and you'll need a score of at least 72 on the general (G) section of the Air Force Aptitude Qualification Area of the Armed Services Vocational Aptitude Battery (ASVAB) tests. In addition, you'll need to complete a designated cryptologic language analyst initial skills course, after the requisite 7.5 weeks of basic military training (boot camp) and Airmen's Week. Eligibility for a Top Secret security clearance, according to AFI 31-501, Personnel Security Program Management, and for sensitive compartmented information access. Formats, terminology, and theory of traffic analysis. Organization of designated military forces. Procedures for processing and distributing intelligence data. Methods for handling, distributing, and safeguarding military information. The first part is language training, conducted at the Defense Language Institute in Monterey, California. The length of the training depends on the language being learned. Language training lasts between 47 and 63 weeks, depending on the difficulty level of the language. Following language training, technical job training is conducted at Goodfellow AFB, Texas. Again, the length of the training depends on the language and can last between 10 and 22 weeks.